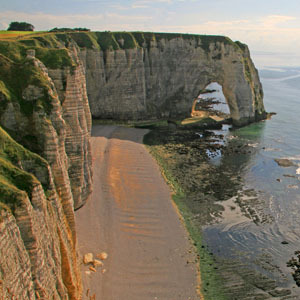 This France tour is the perfect way to see the highlights of Paris plus Brittany, the Loire Valley, and the World War II landing beaches in Normandy in a short amount of time. Beautiful scenery combined with famous landmarks, charming chteaux, and fascinating history sum up this tour-with overnights in Paris, elegant Deauville, Caen, Mont St. Michel, and the Loire Valley. World War II history comes to life as you focus on some of the locations involved in D-Day, June 6, 1944. You’ll visit the American Cemetery at Omaha Beach and Juno Beach Center and Park. Go even further back in history when you visit the famous 8th-century Abbey of Mont St. Michel perched on a rocky isle; the 13th-century gothic cathedral in Chartres; and the jewel of the French Renaissance, Chteau Chambord in the Loire Valley, and a huge castle with towers on all corners. Also visit the 16th-century chteau of Catherine de Medici, Chenonceau, and a fairy-tale castle with a moat, drawbridge, and towers. Day 3 Paris – Giverny – Rouen – Deauville. Day 5 Caen – Bayeux – Mont St. Michel. Day 7 Loire Valley. Excursion To Chteaux Country. Day 8 Loire Valley – Chartres – Paris. recreational activities make it a favorite destination for visitors.